Shawn Thomas, 30, has been charged after he allegedly went on a slashing spree that left two women wounded. 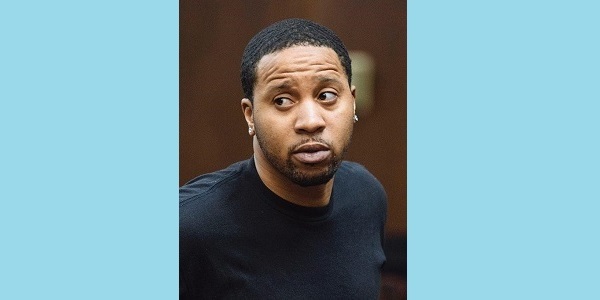 According to reports, Thomas' actions, that are thought to be caused by a mental disturbance, took place on Friday near Suffolk and Rivington Sts. The first assault took place when Thomas lunged at a 60-year-old woman and cut her chick with a blade. Approximately seven minutes later, Thomas approached another woman, 57 years old, and slashed her face. Police say the actions were unprovoked by the victims, and that Thomas approached them without warning and attacked them. Thomas is held on a bond of $350K, and he appeared to his arraignment in Manhattan Criminal Court silent. This was the second incident during the week involving Thomas after police took him into custody for marijuana possession a few days earlier. Both of Tomas' victims were treated and suffered minor injuries. It is unclear as of yet of what will happen to Thomas, but it is certain that his actions will go on his criminal record. Whether he is indicted for his actions under normal circumstances or as mentally impaired man, Thomas' attacks will become a part of the public records in the country. It is also likely that that he will not be able to purchase firearms due to Gun Laws in the country. The arrest records of Thomas and other offenders in the United States are turned into public records over time, and access to them is very important as it allows people to find out who is the person standing in front of them. These are the Most Famous Celebrity Divorce Cases. Read about Shocking Celeb Divorces! What is Considered a Crime? This is What Constitutes a Crime! Bankruptcy Laws in South Carolina: Find out what are the South Carolina bankruptcy laws and what to do in case of bankruptcy. Learn more about the Wyoming judicial system. Find out how the judicial system in Wyoming operates!